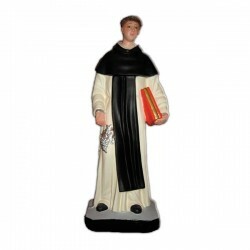 Statue of Saint Leonard of 40 cm. The abbot Saint Leonard is commemorated on the 6th of November. He was born around 496 in Gallia to a noble family and he probably died on the 6th of November 559. According to the legend he converted himself in Saint Remigius of Reims. He retired in the Micy Abbey near Orleans, to become a heremit in the woods of Noblac. In the Middle Age his cult spread in West, but we don’t know much about his life. 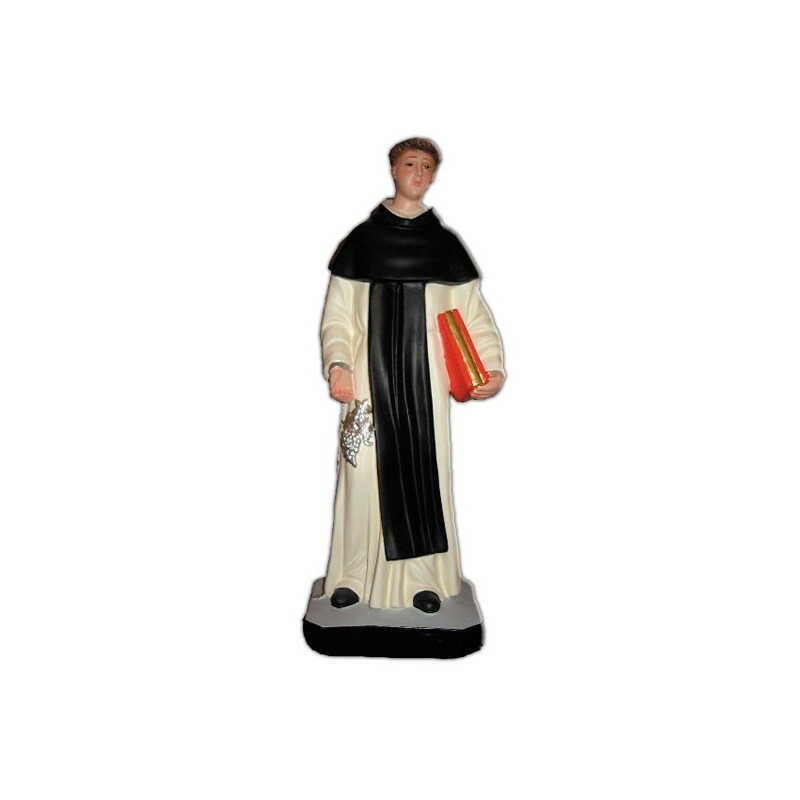 He is illustrated in white abbot clothes, with a black scapular and with the emblems of his martyrdom. He is considered the patron of the prisoners, of the women in labour, of the smiths, of the carters, of the farmers and of the livestock.